Netflix recently announced a deal with Adam Sandler (Grown Ups, Happy Gilmore), which ties the actor up to star in and produce four original movies for the streaming giant as they further their original content library. But why did Netlfix choose Adam Sandler for this deal, of all of the actors available? 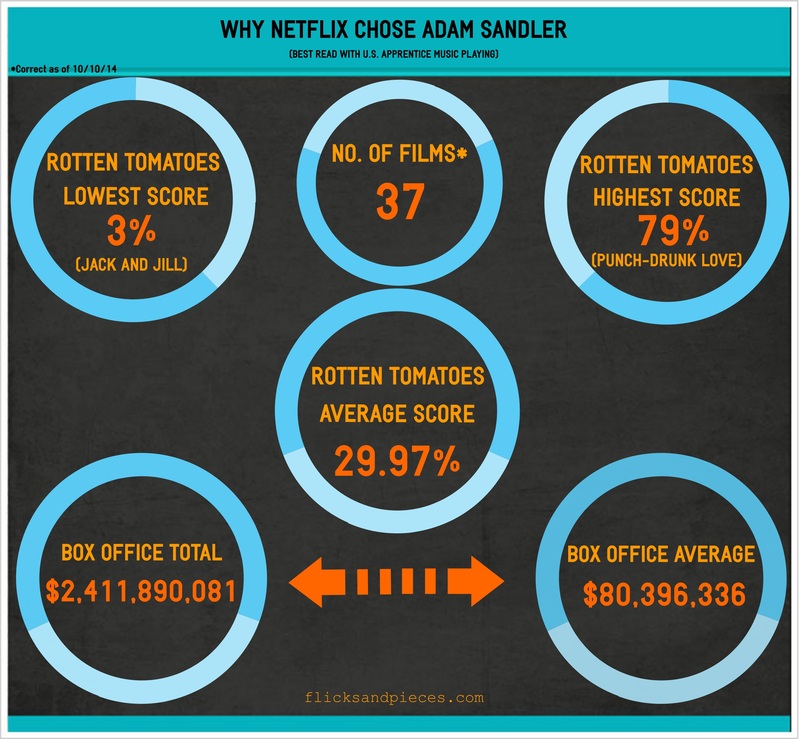 In December last year Forbes placed Sandler at the top of their “Most Overpaid Actors” list. Having recently worked with a prestigious director such as David Fincher on House of Cards, the choice of Adam Sandler by Netflix may seem somewhat odd, but Netflix boss Ted Sarandos has cited the “repeatable” nature of Sandler’s movies as a big selling point. Money, money, money, money – money. The first Netflix/Sandler outing is expected in 2015, exclusively on Netflix. Something for us all to “look forward” to.